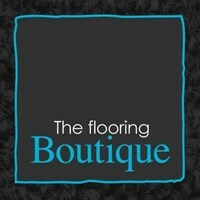 The Flooring Boutique - Carpets/Flooring based in Cheadle, Cheshire. The Flooring Boutique was born in West Didsbury, Manchester in 2014 and has over 25 years' experience within the flooring industry. Our experience has been gained in a family business established over 50 years ago. In 2017 The Rug Boutique was launched becoming the 2nd subsidiary of the Flooring Boutique Group. At The Rug Boutique we offer a home selection service where we will come and see you with mini samples of the rugs in our collection, where you can feel the texture, check the thickness, and most importantly see if the colour works with the rest of your interior style, with no obligation to buy. Please visit our website - www.therugboutique.co.uk. In 2019 we launched The Wood Boutique becoming our 3rd subsidiary to The Flooring Boutique Group. The Wood Boutique focuses solely on solid, engineered, laminate & luxury vinyl hard wood flooring, Please visit our website - www.thewoodboutique.co.uk where you can view our ranges, thickness, durability, plank sizes, along with other colours and styles available. With over 200 ranges, and 2500 colour and style options to choose from we supply and fit all flooring, so no matter what floor covering you are looking for, we offer a home selection service where we will visit you at a convenient time including evenings and weekends, showing you samples of all of our ranges in our collections, with no obligation to buy.